E☆2's Comiket 79 original illustration collection once again featured a variety of well-known artists drawing this time on the theme of the classic school uniforms, the sailor fuku. 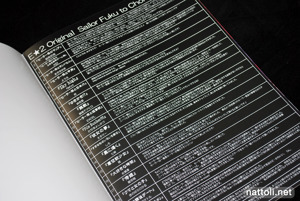 In E☆2 Original Sailor Fuku to Chome Chome some artists experiment more than others to create a very memorable and unique collection of works. 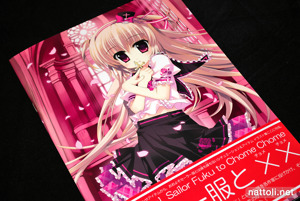 E☆2 Original Sailor Fuku to Chome Chome is A4-sized, staple-bound and 28-pages when counting the covers. The book dives right into the art, providing a single page index that includes each artists' name, illustration title, and a comment on the art work. 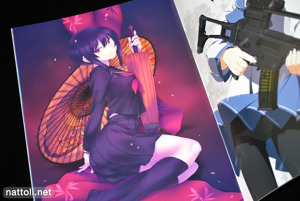 The illustrations above from left to right are by KEI, Youta, Nacht, Iwa, Hiiro Yuki, and Suzuri. The selection of artists does feature mostly ones who have done work for E☆2 Magazine, but even still all of the illustrations are newly drawn, which is pretty impressive for any collection. 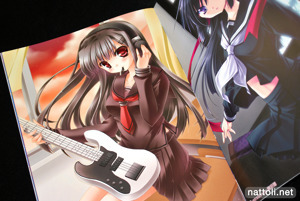 KEI's girl is quite subdued compared to some of the other ideas in the book, like Youta's valkyrie-esque school girl above. 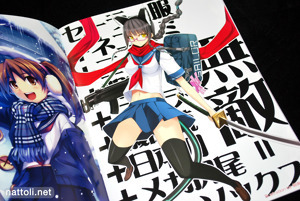 Nabeshima Tetsuhiro illustrated the sword wielding, gun-toting, glasses-wearing nekomimi school girl above. I love how seamlessly all those anime tropes seem to just fit together. 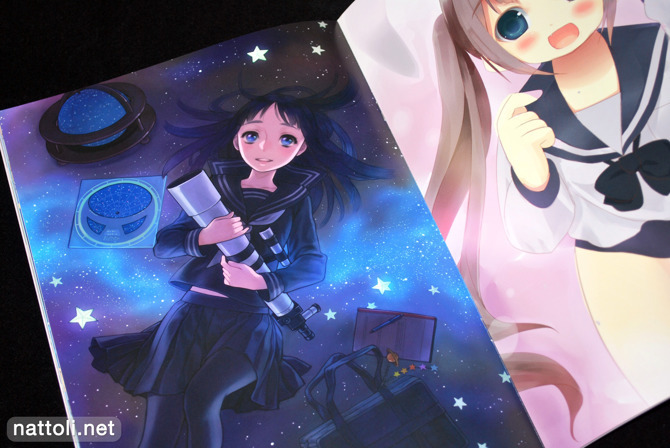 Also pictured above are illustrations by Minase Lin, Nanakusa, and Ryuuga Syo. 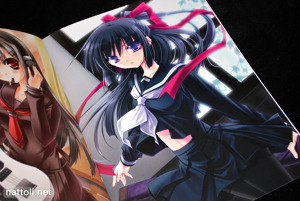 The illustrations above are by Arikawa Satoru, Fujishima, and MALINO. 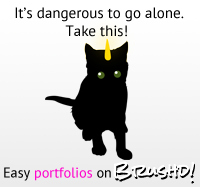 In total, there are 23 artists showcased, each with a new full page illustration. I always enjoy E☆2 because of both the variety and the quality of the art work. And it certainly helps that their themes are always creative ^^ E☆2 Original Sailor Fuku to Chome Chome is conveniently available directly through Petit Jeuness, though you'll still need a deputy service to order it. This guys makes some beautiful backgrounds! Looks like a lovely collection of works by different artists. Don't see too much work by Nanakusa though these days, do like Nanakusa's style and this illustration is terrific.